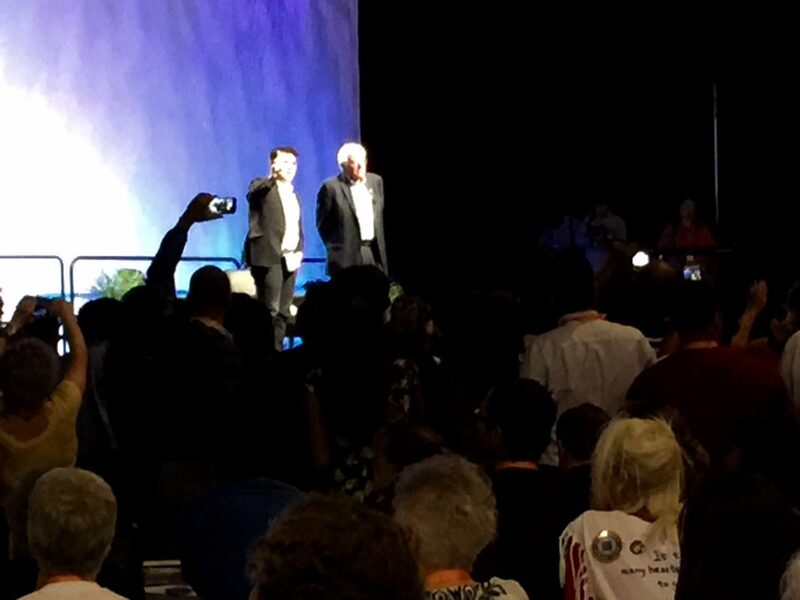 Senator Bernie Sanders and Journalist Jose Antonio Vargas attempt to quell #BlackLivesMatter protesters at NN15. 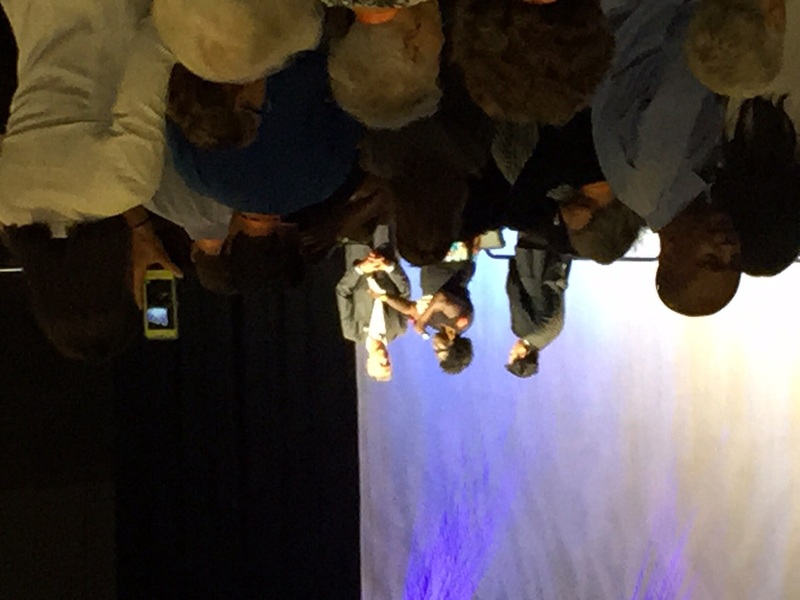 I was sitting in a big hall with 100s of Bernie Sanders supporters waiting to film a Bernie love fest, but that’s not what happened at the Netroots Nation 2015 Presidential Town Hall with Democratic Presidential candidates Senator Bernie Sanders and Governor Martin O’Malley. Governor Martin O’Malley answering #BlackLivesMatter protesters. The event continued to spin out of control after Sanders took the stage. White progressives are most likely disappointed by the NN15 town hall. They were prepared for a Bernie love fest with signs and enthusiasm. Instead of hearing Bernie’s campaign speech about economic revolution, they saw their candidate pivot to rhetoric instead of answering the Black Lives Matter protesters’ questions. The protesters wanted to know what President Sanders (or President O’Malley) would do to stop “structural racism in the United States” and the unnecessary and immoral police killings of innocent, unarmed black men and women– in the streets and in the jails of the US. Protesters chanted the names of the dead in a call and response style while Sanders and Vargas stood helpless on stage. At one point Sanders– visibly annoyed–said he was going to leave, and Vargas urged him to say. Sanders dismissed the protesters saying that he was “going to say what I came to say” before he addressed their concerns. (Video here.) Instead of talking about body cameras, discrimination in policing, white supremacy, militarization of local police forces, mass incarceration, or holding police more accountable, Sanders talked about Citizens United and money in politics. Citizens United is so far removed from the mean streets of America where innocent black people are dying. Sanders looked out of touch and dismissive when he continued with his campaign stump speech instead of driectly addressing the protesters who were standing just a few feet in front of the stage. Sanders appeared rigid and less nimble in his responses than O’Malley. Eventually, Sanders talked about police policies when he was mayor of Burlington, Vermont, but the damage was already done. The town hall ended 10 minutes early, as the protesters marched out chanting. Sanders will speak again tonight at 7 p.m. in the Phoenix Convention Center. The event was moved from a smaller location to the convention center a few days ago. Thousands of people have RSVP’d for tonight’s event. Great work, Pam. You and Bob have added detail and perspective to this event. I’m pretty sure O’Malley said “White lives matter…” not “all lives matter.” That’s a major mess up. This evening, Sanders addressed some of the disrupters’ concerns. Obviously both men were caught off guard. Neither committed errors that will necessarily, at this point, will be fatal to their candidacies. However, if either of them fail to apologize and make adjustments, today could become fatal. Some people suggested it was “unforced errors.” I don’t share that view. The protesters forced the situation. We will need to see how these men competing to become arguably the most powerful person on the planet handle adversity, handle making big mistakes and whether they demonstrate sufficient humility and adaptability. I plan to blog more about it over the next couple of days. I think O’Malley said both “white lives matter” and “all lives matter.” O posted the Bernie segment on YouTube earlier. Right at the beginning, Vargas says to Bernie and motions to the protesters, “Let’s address their concerns first.” And Bernie goes into the Stump speech instead. That was a tactical error. It looks dismissive. The protesters actually sat quietly through 8 minutes of Basic Bernie before things errupted again. Yeah, Nowicki posted (in a story on azcentral) that O’Malley said both. That statement was true but tone deaf and very poorly timed. I still think the measure of both men will be in how they adjust from this point forward. I read a good write up on eclecticblog too. I shot video also. Working on the editing. On Twitter, they’re saying that Bernie canceled all of his afternoon meetings today after the protest. O’Malley stuck around NN15 and spoke with people as scheduled. The protest was covered by multiple news sources, including the LA Times.